Summa Group subsidiary’s debt acknowledged by court | Russian Legal Information Agency (RAPSI). MOSCOW, January 23 (RAPSI) - The Moscow Commercial Court has granted two claims lodged by VTB bank seeking to add an 8.5-billion-ruble debt (over $128 million) of Global Electro Service, a subsidiary of Summa Group, into creditors' list, according to court records. 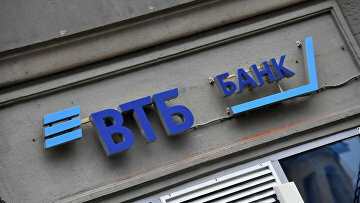 In December, the court included Global Electro Service’s debts to the Deposit Insurance agency (2.6 billion rubles), VTB (430 million rubles) and Russian Credit Bank (596 million rubles) in the list of creditors’ claims. Moreover, the company’s temporary manager Mikhail Andreyev in November filed an application demanding to solidary collect 17.1 billion rubles from Summa Group owner Ziyavudin Magomedov, his brother Megomed and 14 other individuals and firms. On January 14, the claim was put on hold until March 10 because of its incorrect execution. A monitoring procedure was introduced in Global Electro Service in summer on the request of NT-Com Engineering company. In November, their detention was extended until February. At the same time, it was discovered that Ziyavudin Magomedov and his brother had been additionally charged with stealing 300 million rubles ($4.5 million) during the construction of a highway in South Siberia in September 2014. 10:54 23/01/2019 The Moscow Commercial Court has granted two claims lodged by VTB bank seeking to add an 8.5-billion-ruble debt (over $128 million) of Global Electro Service, a subsidiary of Summa Group, into creditors' list.